Sow the Seeds of Good Health! Breast Health is Precious. And Personal. At the Katherine M. Cyran MD Breast Center, Breast Care is Too. The Katherine M. Cyran MD Breast Center offers a unique blend of compassionate clinical breast care and expert breast imaging that is unparalleled in the community. Developed, directed, and staffed by Dr. Katherine M. Cyran, the Breast Center provides care that is comprehensive from prevention through diagnosis, that is innovative through individualized risk assessment, including genetic counseling and testing, that is personal with hands on breast evaluations and direct physician to patient results discussion, and that is streamlined from screening through biopsy within days. Studies show that specialized breast radiologists find more cancers, more cancers at earlier stages, and recommend fewer unnecessary biopsies, all of which contribute to improved care at every step of the way-- from screening and diagnosis with fewer call backs and biopsies, through comprehensive cancer care with earlier stage diagnoses allowing less extensive, disfiguring, and costly treatment, and importantly, more successful outcomes. At the Katherine M. Cyran MD Breast Center, studies are interprested by a clinical breast imaging expert with over fifteen years experience dedicated only to breast. We know women are busy--juggling career, family, and social commitments with little time left- over for multiple appointments, and worry. Here care is streamlined and informative with efficient "one-stop" evaluations and results. The anxiety of "not knowing" is minimized. Women deserve excellence and expertise and a caregiver who provides them with the comfort and confidence that their concerns are being fully addressed and monitored. At the Katherine M Cyran MD Breast Center, care is patient-focused and experienced, tailored to each patient's unique situation. Same day or Next day emergent/urgent appointments available. 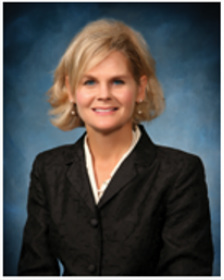 Dr. Katherine M. Cyran is a graduate of the University of Notre Dame, with Honors, the University of Louisville Graduate Music Program as a University Scholarship recipient, and the University of Louisville School of Medicine where she was elected to the Alpha Omega Alpha Honor Medical Society. A Chief Resident in radiology at the University of Alabama at Birmingham, Dr. Cyran completed a fellowship in MRI and has been practicing exclusively clinical, patient- focused breast imaging for 15 years. During her career she has served as Medical Director of: The Katherine. M. Cyran MD Breast Center at Wendt-Bristol, The Mount Carmel West and St. Ann’s Women’s Health Centers, and Blanchard Valley Health System’s WomanWise where she developed and directed an exemplary and emulated genetic risk assessment program. Dr. Cyran is active both locally and nationally in educating the community and fellow physicians through numerous speaking engagements, newspaper and magazine interviews and articles, and is a member of Myriad Genetics National Speaker’s Bureau. She is committed to diagnosis of early stage breast cancer through education and awareness, lifelong lifestyle behaviors, and personalized screening. She has a special interest in BRCA genes issues because she knows “earlier detection saves more lives”. Dr. Cyran provides a unique personal component to imaging through compassionate, hands-on, patient-focused care. She is the mother of three children and in her free time enjoys gardening, music, tennis, fitness, and travel.